CHECK THIS OUT!! 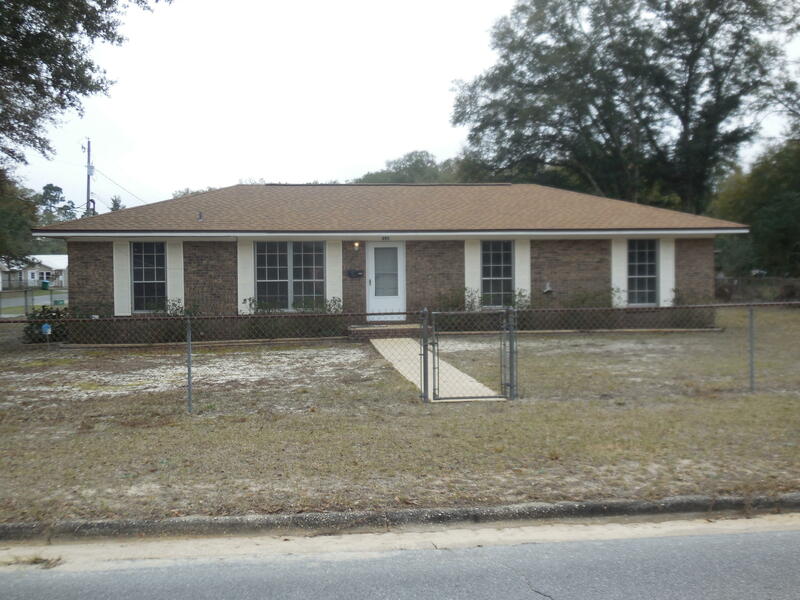 3 BEDROOM, 1 1/2 BATH, 1384 SF ALL BRICK ON LARGE CORNER LOT!! AS-IS SALE!! LOTS OF POTENTIAL HERE! !Roof is approx 2 yrs old and brand new carpet in bedrooms. Laminate flooring through living room, kitchen/dining & hall, tile in baths & vinyl in back room. Master bedroom has 2 closets! Large kitchen/dining combo with breakfast bar & sliding door leading to patio. Large room off the kitchen with washer/dryer hookups & HWH. Block off that section & still have large room that could be used as a den/office or playroom. Chain-linked yard (full) with double gate to back yard. Storage building as well. THERE'S MORE...MAKE YOUR APPOINTMENT TODAY!! PLEASE NOTE: THIS IS AN ''AS-IS'' SALE.